Albert Lukaschek of Benz Micro and Garth Leerer of Musical Surroundings announce the continued development of the S Class phono cartridges. Led by the new flagship LP S “MR” cartridge, the new Ruby Z and ZH, Gullwing SLR and SHR cartridges, the S Class furthers the performance, selection and value of the Benz Micro line. 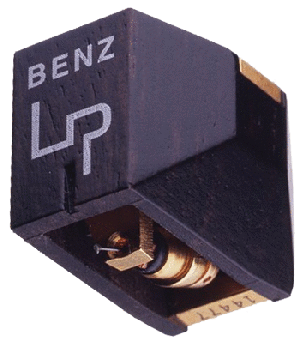 The highlight of this continued evolution of the Benz cartridge line is the new MicroRidge stylus used on all S Class models from the ACE S to the LP S. We offer an industry leading program for upgrading previous Benz models to the new S Class series. 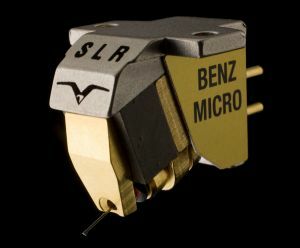 The famous Benz Micro Glider S Moving Coil MC Cartridge, originally introduced in 1993, now features the Benz MicroRidge stylus and is available in three outputs: SL, SM, SH. 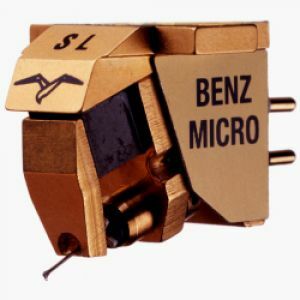 The Benz Micro Wood Moving Coil MC Cartridge Body SL (low), SM (medium) and SH (high), all incorporate the Benz MicroRidge stylus coupled to improved generators using new coil windings and refined pole pieces/damper designs. 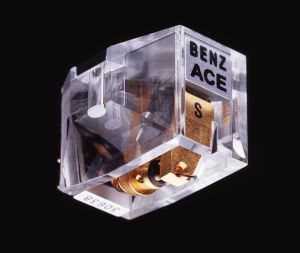 Conceived in 1996 as the most affordable Swiss hand-made moving coil, the Benz Micro Ace S Moving Coil MC Cartridge took 5 years and a new factory to deliver the Advanced Cartridge Engineering of the ACE in 2001. 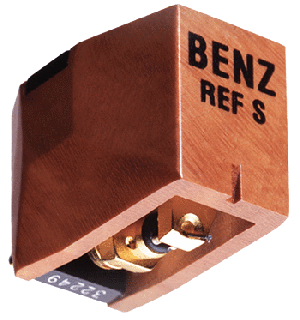 The fourth generation of the original Benz wood body cartridge, the Ref S uses the Micro Ridge stylus and the generator developed for the Ebony L.
The Benz Micro Gullwing Moving Coil MC Cartridge is a hybrid of the LP S class, Ruby and Glider cartridges. 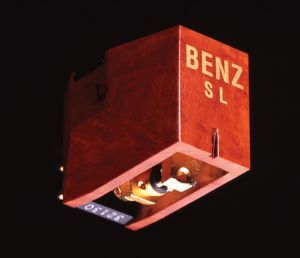 The Gullwing models include the SLR (S Class, L for low output (.35mV at 3.54cm/sec), and R for Ruby) and SHR “higher output” version (.7mV at 3.54cm/sec). Gullwing is our homage to the Benz Glider symbol and the classic Mercedes Benz 300SL. 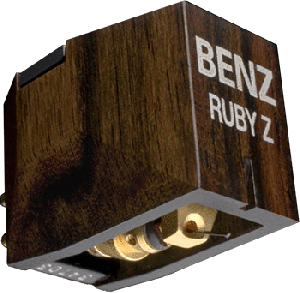 The Ruby Z cartridges weigh only 10.6 grams, making them ideal for a wide range of tonearms, including today’s state-of-the-art, and vintage models lacking the energy control, bearing designs, or counter-weight range. The latest LP S incorporates a higher mass brass frame for improved coupling to tonearms, evolved ruby square plate generator and Ebony body. Brass, an alloy of copper and tin, complements Ebony, materials used for building musical instruments. The Benz Ebony series are designer Albert Lukaschek’s ultimate realization of his cross-coil generator based cartridges. Each use the best materials such as Ebony wood body, MicroRidge stylus and the most advanced coil windings for their application.